Being a member of the CICC gives young people a chance to have a say about the things that really matter in their lives. You get to meet new people and talk about what it’s like living in care and to share problems and similar issues. These can be issues around your education, contact, health or anything that is having an effect on you. 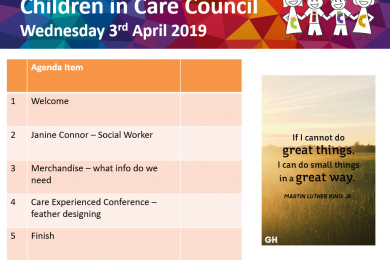 We get to talk with the key decision makers to tell them how they can make being in care better for other children and young people. 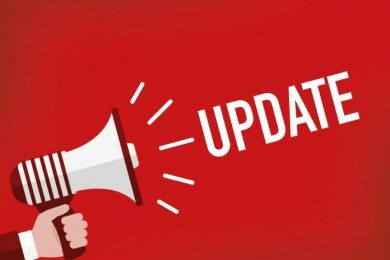 We make suggestions to help make services better and get involved in making changes and improvements to the care we receive. We are currently looking to do our Annual Care Survey and the priorities will arise from this. 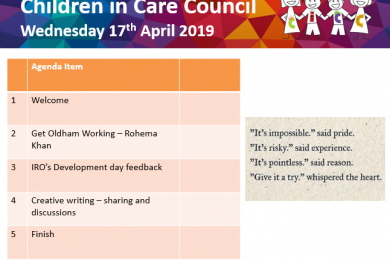 “..every councillor, every Director of Children’s Services, every social worker or teacher should demand no less for children in care than they would for their own children”. This is what is meant by ‘Corporate Parent’. 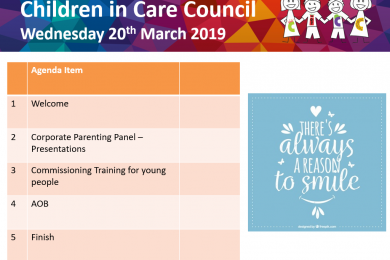 The Corporate Parenting Panel is to ensure that Oldham fulfils its corporate parenting responsibilities and monitors performance in terms of improving outcomes for looked after children and care leavers. 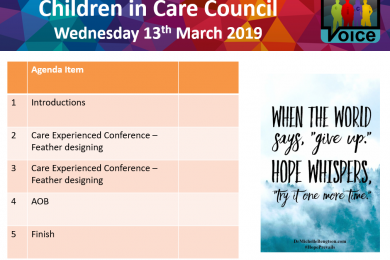 The Children in Care Council have members that sit on the Corporate Parenting Panel to discuss changes that affect young people like them. 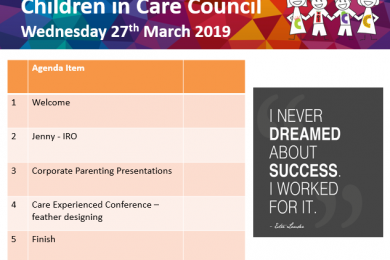 This is our special celebration evening where Looked after children and Care Leavers get to celebrate and showcase all the fantastic things that they do and have been involved with over the past twelve months.